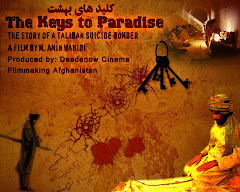 Deedenow Cinema Production Afghanistan: Flight of thought from Afghanistan! After hearing about the latest security situation in my country, I wanted to write some paragraphs under this title. Two suicide bomb attacks have occurred in the same week in Kabul. A fifteen year-old boy (who was accused of being a spy for the Americans) was executed by the Taliban in Himland. Kamran Meerhazar, the outstanding and controversial young Afghan journalist, has fled the country. The government has failed to take action about the influence of the Taliban and other extremist groups within the government. I am not sure where to begin my analysis of this situation, which forces many people (especially Afghans who work for the media, cinema, and with foreign agencies and organizations) to flee the country and live, homesick, in exile. Sometimes it really bothers us, watching day by day as Afghanistan loses the people who really want to work for development and democracy in the country. It is one of the most dangerous sicknesses, especially for a developing country, when the flight of thoughts, or in other words the flight of intellectuals, professionals, cultural activists, artists, musicians, theoreticians, scientists, writers, and journalists, begins. The human resources of this young generation are the most valuable form of wealth for countries like Afghanistan. They are important factors in the transition from a post-conflict society towards further development. Afghanistan needs a young work force for reconstruction in all arenas. The present generation of Afghans, working in offices in various fields, are the result of study and work opportunities in other countries, near and far. It has taken at least a decade to build them, but so far the universities, and as a whole the higher education system of Afghanistan, have not been standardized and have not been able to train and graduate well-qualified and professional people to meet the demands of human resources in the country. There is still no modern and standard higher education curriculum available in all the universities. The chapters being taught are at least 25 years old and there is rarely access to updated information on science and technology. The government did not have a specific plan for training the new generation of cadres to start work in the near future. Statistics show that Afghanistan has a very young generation, full of work potential, that even some European countries, like Italy, cannot equal. If the government fails to normalize the situation by strengthening different sectors of defense and interior affairs, and stopping the threats and intimidation faced by people working in the media and foreign agencies, the flight of thoughts which has already begun will be accelerated. Not only will the government itself suffer a lack of professionals in its departments, but it will cause a lack of confidence from the international community in the Afghan government, and the flight of national and international investments from the country. The passage of time has shown that President Karzai's administration has failed in the security sector and in building confidence. President Karzai's administration is faced with challenges on many fronts nowadays. First, the internal governmental machinery is corrupted. 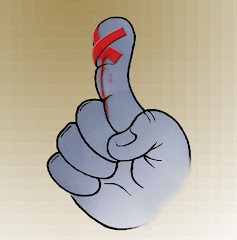 Bribery is an ordinary thing in different levels of the government; the appointment of provincial governors and the chief of security police are still based on the sharing of power with former Jihadists; and the narcotics industry which feeds the Taliban has survived—it has even been increased in certain parts of the country (like Hilmand, Kandahar and Zabul) where the Taliban still have power. Seeing all this, President Karzai's administration opens offices of amnesty and forgiveness for the Taliban. It releases the Taliban who have been captured on the battle fronts or have been arrested while perpetrating terrorist attacks, doing so based only on some ethnic relation, and giving money to them as a reward. And now, after all the exaggeration about the Taliban by media (which I think has been a free advertisement for them by the national and local television and radio stations), they are taking advantage through several tactics and measures. They are kidnapping foreigners, kidnapping journalists, torturing and killing the people working with the foreign organizations and agencies, trying to influence journalists through intimidation, and increasing the numbers of suicide attacks in cities. 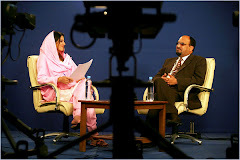 The green lights that President Karzai's administration has given to the Taliban have increased the Taliban's courage. The portrayal of these events in the national and international media shows the failure of this administration. 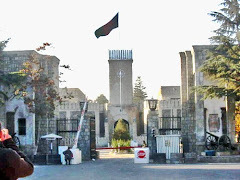 The Taliban are now courageous enough to challenge the government by repeating their unacceptable demand to President Karzai’s administration and the international community, which is to pull out all the foreign peacekeeping troops immediately from Afghanistan. As a result they have shown a red light to answer the green light of the government, and have demonstrated that they are still powerful and can challenge the government at any time. 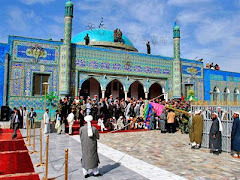 The two recent suicide bomb attacks that took place in Kabul, and execution of the fifteen year-old boy by the Taliban in Hilmand, are evidence of the fact that President Karzai's administration needs to shake a leg and take the situation seriously. They should stop missing chances and act to strengthen the defense and interior affairs sectors. Otherwise, without social or personal security, the country will soon be out of national and international professionals and the human resources which make the government stable. Just came back from Afghanistan and working on an educational project for Afghanistan....but you are so right that they are scaring away the good people! Afghanistan has hope but only if the good people stand up! Have I seen you in Chiala?